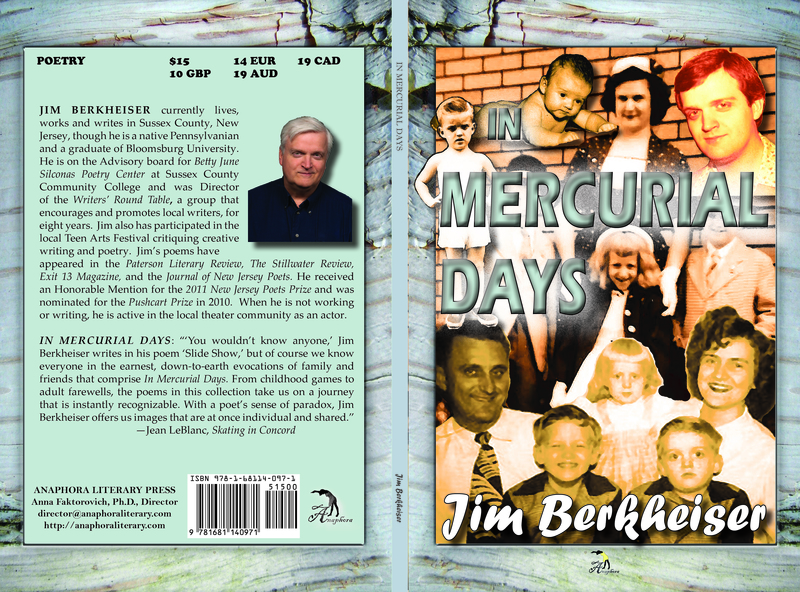 Jim Berkheiser currently lives, works and writes in Sussex County, New Jersey, though he is a native Pennsylvanian and a graduate of Bloomsburg University. He is on the Advisory board for Betty June Silconas Poetry Center at Sussex County Community College and was Director of the Writers’ Round Table, a group that encourages and promotes local writers, for eight years. Jim also has participated in the local Teen Arts Festival critiquing creative writing and poetry. Jim’s poems have appeared in the Paterson Literary Review, The Stillwater Review, Exit 13 Magazine, and the Journal of New Jersey Poets. He received an Honorable Mention for the 2011 New Jersey Poets Prize and was nominated for the Pushcart Prize in 2010. When he is not working or writing, he is active in the local theater community as an actor.